Ever noticed how certain places seem to attract more than their share of writers and artists? 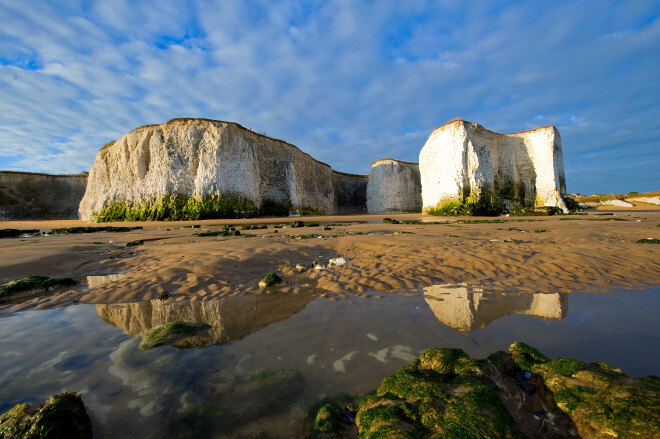 The eastern corner of England encompassed by Thanet has been pleasing inspiration-seekers for hundreds of years, making it a key location in VisitEngland’s year of Literary Heroes. You might more readily associate Jane Austen with Bath, but actually Georgian Ramsgate captured the author’s imagination, moving her to write the poem Post Haste From Thanet, and providing a backdrop for flirtations between Mr Wickham and Georgiana Darcy in Pride and Prejudice, and between Tom Bertram and the younger Miss Sneyd “who was not out” in Mansfield Park. Scandal! From JMW Turner to Tracey Emin, with George Morland and Vincent Van Gogh falling somewhere in between, artists too, have flocked here. Romantic poet Samuel Taylor Coleridge loved to “Ramsgatize”, as he called it, seeking relief from his chronic ailments during a series of holidays between 1819 and 1833 – you’ll find a blue plaque where he stayed in Wellington Crescent. Charles Dickens described Broadstairs as “the freshest, freest place.” TS Eliot came to Margate in 1921 to recuperate from a nervous breakdown, catching the tram each day to sit in the Victorian Nayland Rock promenade shelter, where he wrote lines that became part of The Waste Land. And that’s not even the half of it. 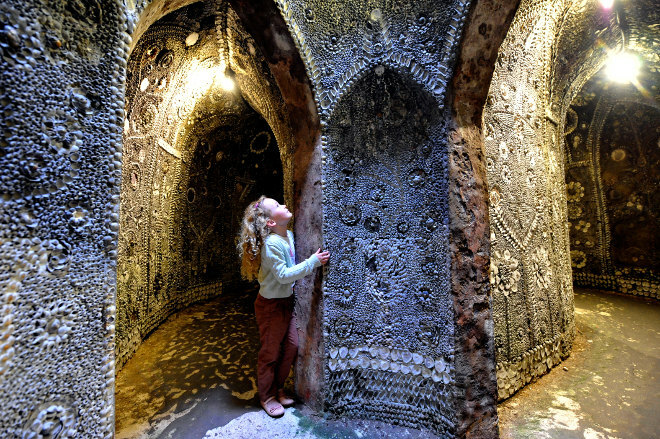 John Betjeman, Arthur Ransome, Wilkie Collins, Charles Lamb, George Eliot, Lewis Carroll (who visited Margate’s Shell Grotto in 1870, describing it as “a marvellous subterranean chamber” – see above), Oscar Wilde, Sir Arthur Conan Doyle, George Bernard Shaw, and Scarlet Pimpernel author Baroness Orczy, were all fans of Thanet and its seaside charms. Dickens Festival, Broadstairs, 17–23 June. From a Grande Parade featuring Queen Victoria in a horse-drawn carriage to Dickensian feasting and revelry, the festival is celebrating its 80th anniversary in style. Ramsgate Festival, 22–30 July. Explore the town’s creative side, including theatre, music, talks and a writing competition and running alongside Ramsgate Week sailing regatta from 24–28 July. Throughout the summer, regular Ramsgate Costumed Walks offer a sense of the Regency town as Jane Austen knew it. Margate Bookie, August 2017. Interactive sessions, workshops, talks and author readings aim to inspire you to read more and get involved in all levels of writing. Twitter and Instagram @VisitThanet. VisitThanet on Facebook.